My husband sells kegs, which means his job involves visiting breweries and wineries throughout Colorado and the Pacific Northwest. I had nothing but a couple big writing deadlines on the agenda and I can happily write from anywhere, so when Dan mentioned plans for this road trip out to Seattle, I immediately packed up my things to join him. This trip is also a bit of a celebration of our one-year wedding anniversary (how?!) so we’ve mixed in a few days of no work and all play too. We’re heading to Olympic National Park this afternoon – a place that I have literally wanted to visit since I was about 10 years old. Then, on to Mt Rainier and toward Glacier National Park and the Tetons for some hiking, hot springs, and plenty of camp cooking. How I do self care. I’m planning a post soon to share my healthy (sane) travel tips, including some of the meals and snacks that I prepped ahead of time for the trip. But I just had to share this tofu jerky ASAP. Yes, you heard me right. Tofu. Jerky. The idea first came to me from a client – I swear I learn as much from clients as (I hope) they learn from me. I whipped out my dehydrator almost immediately and have been kind of obsessed with this high protein (preservative-free) snack ever since. Even meat eaters will appreciate this one. If you don’t have a dehydrator – and you have the space and funds for one – go get one now! Besides tofu jerky, I also love making kale chips – and chips of any and all fruits and veggies I can get my hands on to dehydrate, really. Its the greatest thing ever for campers and road trippers. But even if you don’t have a dehydrator, you should still be able to make this recipe (and most dehydrator recipes) by baking at a low temperature (200º F) for 2-3 hours. 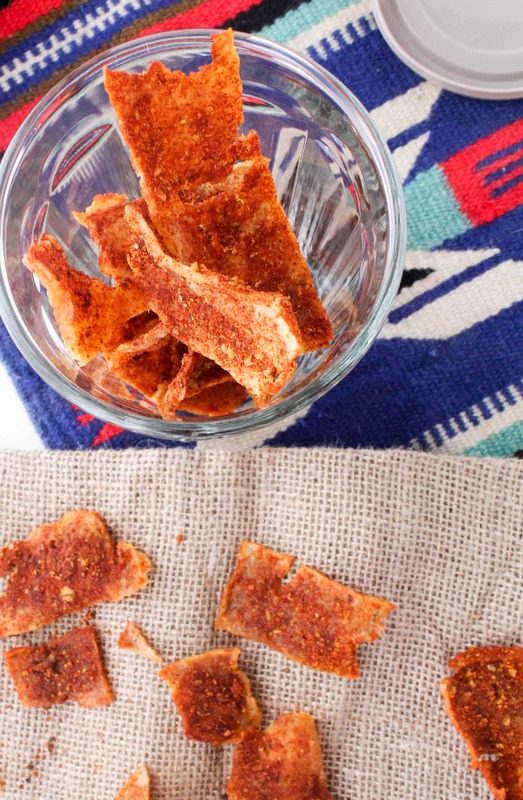 I haven’t tried this method with tofu jerky specifically – but Alissa over at Connoiseurus Veg has, and they look super good to me. 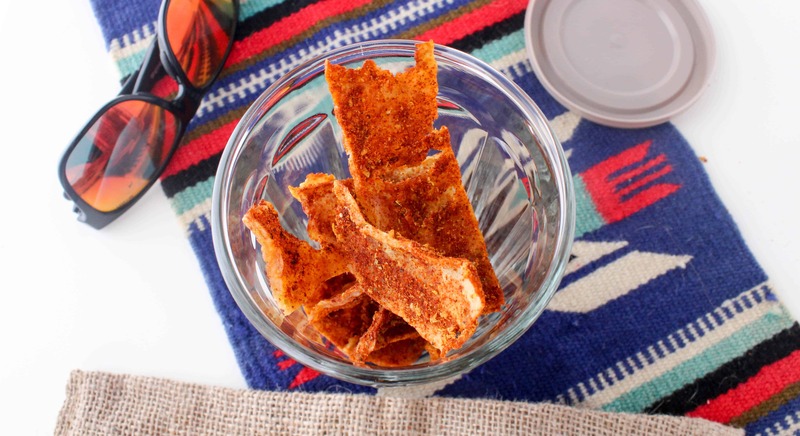 Tofu strips are rubbed with a smoky and spicy seasoning blend and then dehydrated to create a vegan jerky snack that's perfect for road trips and camping! Unwrap pressed tofu and slice into thin strips (I used a mandolin slicer on the 1/4" setting) and lay on a flat, non-stick surface (such as parchment paper). Mix together spices in a small bowl. Sprinkle half of the spice blend on top of the tofu strips and gently pat the spices down with your fingertips. Spread tofu strips on dehydrator racks with spiced side facing down. Sprinkle the remainder of spices on top and gently pat down with fingers. Cover dehydrator and turn to high. Dehydrate until tofu is dry and chewy, about 3-4 hours. Leave in longer if you prefer a crunchier texture. 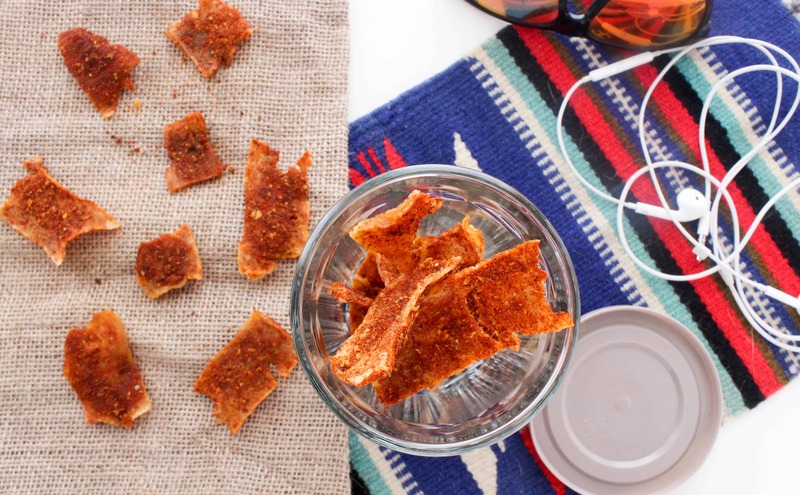 Have you ever tried tofu jerky? What are your favorite road trip snacks? Do you have a dehydrator or have you tried dehydrating in the oven? Looks scrumptious even for non-tofu lovers. 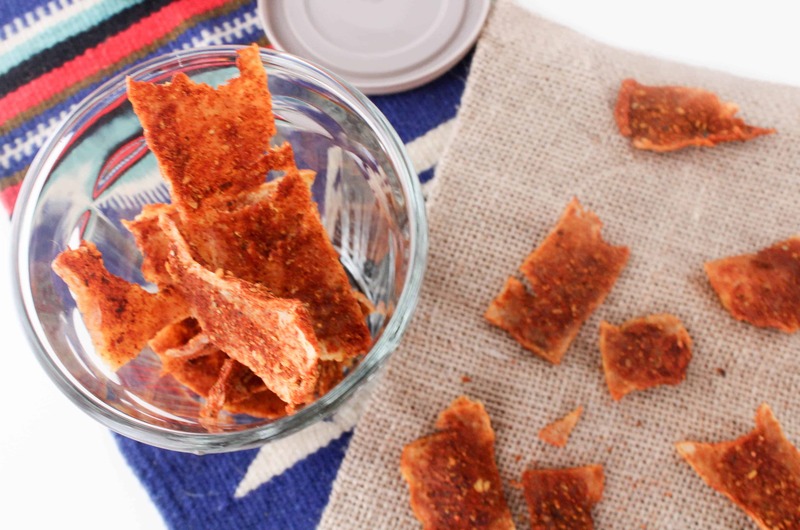 Can you make sun dried tomatoes with a dehydrator? Yes!!! We dehydrate cherry tomatoes and they are killer – portable, scrumptious and so versatile. Slice in half, drizzle a few drops of a quality balsamic vinegar (reduction/thick works best), add 2 or 3 large grains of course Himalayan salt (or equivalent but coarse is best); arrange on trays and dehydrate at mredium/high until firm, and crispy round edges. Try not to eat ALL of them in one go!! Perfect for snacks on their own, with cheese, etc. (Favourite is with dehydrated goat feta – cut into 1/2” cubes and dry till firm/hard snd squeaky to chew – youll know what that means when you try them.